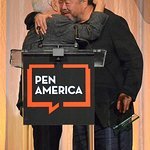 PEN America announced today that globally lauded artist Ai Weiwei will receive the Artistic Expression Award at the organization’s 2018 LitFest Gala in Los Angeles. Ai is renowned for making bold aesthetic statements that expose fault lines, unmask hypocrisies, and unleash empathy on a global scale. 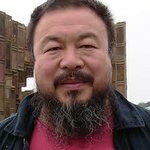 This honor comes in the wake of the razing last weekend of Ai Weiwei’s Beijing studio, including the destruction of several artworks, purportedly to make way for gentrification. In the fall of 2018, Ai Weiwei will open three major exhibitions in Los Angeles. The 2018 LitFest Gala, which will take place on November 2, 2018, at the Beverly Wilshire Hotel, will also recognize media and entertainment litigator and PEN America Trustee Marvin Putnam with the 2018 Distinguished Leadership Award for exceptional work in support of PEN America and its mission to defend free expression and celebrate literary excellence. Now in its 28th year, PEN America’s LitFest Gala is a celebration of free expression and the literary arts. Each year, the event brings together impassioned tributes, conversation, and levity before an esteemed audience of authors, screenwriters, producers, showrunners, executives, philanthropists, actors, and devotees of the written word who share a commitment to the robust defense of creative freedom in Los Angeles and around the world. Proceeds from PEN America’s LitFest Gala support initiatives including: advocacy for writers, journalists, and artists threatened or imprisoned worldwide; landmark research that addresses critical free speech issues; and the advancement of literary excellence and cross-cultural exchanges through hallmark initiatives, including the World Voices Festival of International Literature, PEN America’s Literary Awards, and fellowship and grants programs. 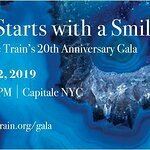 Recently honored luminaries and participants include Roxane Gay, Isabel Allende, Jose Antonio Vargas, Margaret Atwood, Janet Mock, Norman Lear, Guillermo del Toro, Amber Tamblyn, Aisha Tyler, Amy Poehler, and Cecile Richards. From architecture to installations, social media to documentaries, Ai Weiwei uses a wide range of mediums as expressions of new ways for his audiences to examine society and its values. Recent exhibitions include: Good Fences Make Good Neighbors with the Public Art Fund in New York City; Ai Weiwei on Porcelain at the Sakip Sabanci Museum in Istanbul; Maybe, Maybe Not at the Israel Museum in Jerusalem; and Ai Weiwei. Libero at Palazzo Strozzi in Florence. Ai was born in Beijing in 1957 and currently resides and works in Berlin. Ai is the current Einstein Visiting Professor at the Berlin University of the Arts (UdK) and the 2012 Václav Havel Prize for Creative Dissent from the Human Rights Foundation. Ai’s first feature-length documentary, Human Flow, premiered at the 74th Venice Film Festival in competition. Marvin Putnam, a partner at Latham & Watkins LLP, is a trial lawyer who offers clients an exceptional combination of litigation experience and keen insight into the entertainment industry. He has successfully represented clients ranging from individual authors and producers to leading entertainment companies and investment banks. His accomplishments at trial and appellate courts, both state and federal as well as internationally, have earned Mr. Putnam a reputation as a market-leading entertainment litigator. Mr. Putnam has been recognized by Chambers USA as a leading lawyer in Media & Entertainment Litigation; Variety “Legal Impact Report;” The Hollywood Reporter “Power Lawyers;” and The Daily Journal “Top 100 California Lawyers” and “Top Entertainment Lawyers.” In 2014, he was named one of National Law Journal’s “Winning Trial Lawyers” and Trial Lawyer of the Year by the Century City Bar Association. PEN America stands at the intersection of literature and human rights to protect open expression in the United States and worldwide. Its mission is to unite writers and their allies to celebrate creative expression and defend the liberties that make it possible. For more information on the PEN America’s 2018 LitFest Gala, please click here.